With a 10-day layoff, all Donavon Gray could think about during exam week was getting back on the basketball court. 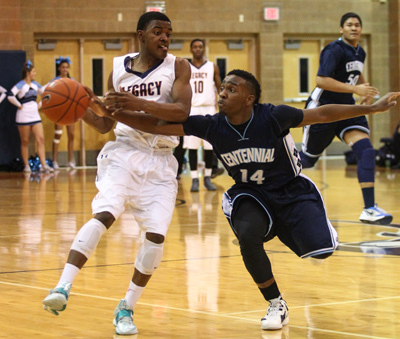 Stewing over the images of Legacy’s last game, a 10-point loss to Cimarron-Memorial on Jan. 8 in which the Longhorns blew a 10-point overtime lead, the senior sought redemption. On Friday, Gray and the Longhorns got exactly what they asked for. The Legacy guard scored 11 points and played a pivotal role in slowing No. 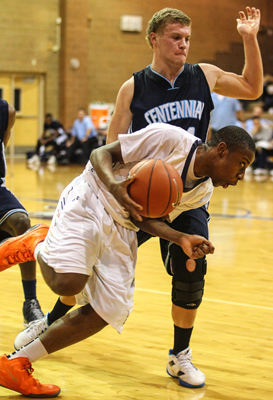 5-ranked Centennial’s dynamic duo in the host Longhorns’ come-from-behind 64-60 Southwest League victory. The 10th-ranked Longhorns (14-6, 2-2) held Marcus and Malcolm Allen, two of Southern Nevada’s top three scorers, to 32 points and rallied from a seven-point deficit in the fourth quarter en route to snapping a three-game losing streak. 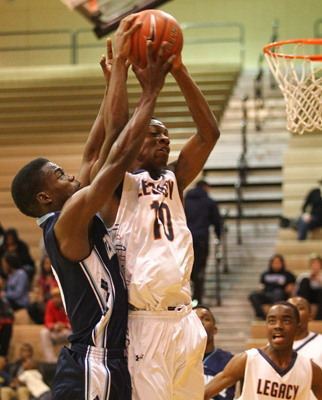 Implementing a tenacious trap on the Stanford-bound seniors, Legacy forced 25 turnovers. Marcus Allen, who had averaged 29.2 points, was held to 21, and Malcolm Allen (24.2 average) scored 11. The Longhorns rallied with a 19-5 spurt in the fourth quarter. Khari Sloane’s bucket in the paint with 1:51 left gave Legacy its first lead, 56-54, and Gray’s two free throws put the Longhorns up 61-54 with 37.2 second to go. 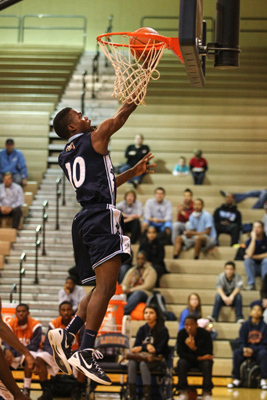 Sloane scored eight of his 12 points in the final period. Marcus Allen connected on a deep 3-pointer from the right wing with 6.2 seconds left to pull the Bulldogs within 62-60. 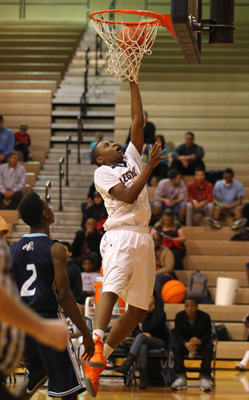 But two free throws from Javon Peterson sealed Legacy’s win. Centennial (15-6, 3-1), which had averaged 76.4 points per game, jumped to a 15-2 lead and led 37-28 at the half despite shooting 2-for-13 from 3-point range.